Karin Plato is an acclaimed, Canadian Juno nominated, Jazz vocalist and recording artist. 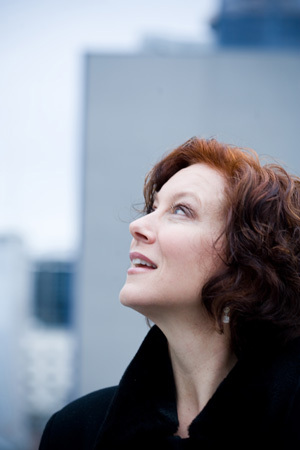 She has performed throughout Canada and in the western USA for concert societies and at jazz festivals. She works as a composer, arranger, music educator, concert producer, and is the artistic director of the JOY OF JAZZ CONCERTS series in Vancouver BC. She has three times been nominated Canadian Jazz Vocalist of the Year at the National Jazz Awards, and she is a West Coast Music Award nominee. Karin Plato grew up on the prairies in a small farming community called Alsask in the province of Saskatchewan. She studied the piano throughout her childhood. She later attended the University of Saskatchewan where she received her Bachelor of Music Degree in piano and voice. In 1985 she moved to Vancouver to study jazz and arranging at Capilano College. In 1996 and 1998 she studied vocal jazz at the Banff Centre For The Fine Arts with vocalists Sheila Jordan and Jay Clayton. She has recorded eight albums of jazz standards and originals. The most recent release is “This Could Be The One” recorded live off the floor at the famed Warehouse Studio (Bryan Adams studio) in Vancouver.